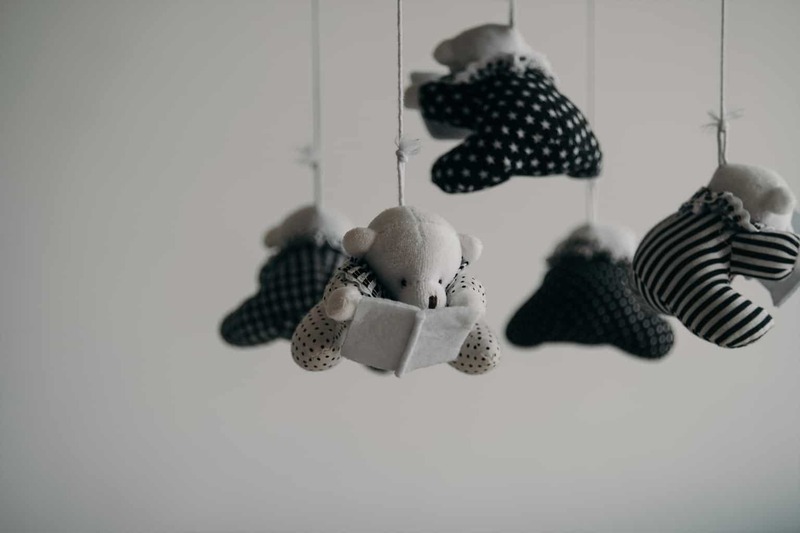 Editor’s Note: In order to engage the conversation happening during National Sanctity of Life Day, RELEVANT asked our writers to critically engage the subject of abortion. But then I remembered my calling as a minister to teach the word of God as I understand it, whether in season or out of season, whether convenient or inconvenient, whether culturally engaging or culturally offensive. So, I went through with it. But before I did, I decided to discuss the issue with several medical professionals, some of whom are on the “pro-life” side and others of whom are on the “pro-choice” side, including a handful of abortion providers. I never like it when people who have never met or had a conversation with me automatically assume negative things about me (because I am a minister or a Christian or balding) so I thought it was only fair that I should give all perspectives a fair hearing if I was going to speak publicly on this issue. After studying the Scriptures and listening to all sides, here are a few thoughts I would like to share. In his letter to the early Church, the Apostle James writes that we must show no partiality and reiterates what Jesus said was the greatest commandment in relation to our fellow human beings—to love our neighbor as we love ourselves (James 2:1, 8). In writing these words, James was addressing a problem that he saw in the first-century church. Partiality was being shown to affluent, successful, famous people because everyone was trying to climb the social ladder. Pro-life advocates allege that pro-choice is not an accurate term, because only one person in the equation gets to choose the destiny of all people in the equation, namely the mother. She has 100 percent of the decision-making power and the infant inside of her has no decision making power, no voice and no ability to defend her/himself. Pro-choice advocates allege that pro-life is not an accurate term. This is precisely the concern that an abortion provider voiced to me just one week ago. He said, “As I see it, the so-called pro-life position only applies to one kind of life. After the infant is born, pro-life people tend to disappear from the picture.” He went on to say that over 60 percent of women who come in for an abortion are alone and live below the poverty line. Rarely has this doctor seen or heard a “pro-life” person express any concern whatsoever for her life. And so it goes. Both sides are right in advocating for someone who is in a weak and distressed position. Both sides are wrong when they give partial treatment toward one party and dismissive treatment toward another. Neither seems to be fully in line with what James called “true religion,” which is to attend to widows and orphans (i.e., to vulnerable women and children) in their affliction (James 1:27). Infant advocates (aka pro-life people) get worked up by command-breaking that then leads to injustice. When God’s commands are ignored, they say, injustice and human rights violations are bound to occur. James writes, “He who said ‘do not commit adultery’ also said ‘do not murder.’” Many infant advocates would say that if only people would stop committing adultery and murdering, the abortion problem would be solved. This begs the question of whether or not terminating a pregnancy equates to murder. Can it be considered merciful in certain situations to terminate? Is there something to be said for sparing mother and/or child from public embarrassment, economic burden, disability and other “problems” that can sometimes come with carrying a pregnancy to term? Job was a victim of terror who lost all of his assets, his business, his wife’s respect and all 10 of his children. Jeremiah was a prophet in exile, a bereaved widower and hated by virtually everyone that God had called him to love and serve. Jeremiah took the thought further when he said, “Cursed be the day when my mother bore me … Cursed be the man who brought the news to my Father, because he did not kill me in the womb … why was I born to see toil and sorrow and spend my days in shame?” (Jeremiah 20:14-18). Jeremiah did not take his life in his own hands, no doubt because God had declared to him years before, “Before I formed you in the womb I knew you, and before you were born I consecrated you; I appointed you …” (Jeremiah 1:5). Similar thoughts are expressed elsewhere in Scripture. “You formed my inmost parts,” the Psalmist prays, “you knitted me together in my mother’s womb … Your eyes saw my unformed substance; in your book were written, every one of them, the days that were formed for me, when as yet there was none of them” (Psalm 139:13, 16). “He will be filled with the Holy Spirit, even from his mother’s womb,” it is said about John the Baptist (Luke 1:15). Among the biblical authors, there is no debate on the issue. The testimony of Scripture is unequivocal that from the moment that sperm and egg unite, you have a new living soul and carrier of the divine imprint. Personhood begins at conception. Though he is not a believer, the abortion provider I referenced above also said that every abortion he has performed over the years has made him feel sick to his stomach. When his grandson with Down Syndrome was born, he resolved that he would never abort a child with Down Syndrome again (currently, over 90 percent of children with Down Syndrome are aborted). He went on to say that he believes human life begins at the moment of conception and that to terminate a pregnancy is to end a human life. As I understand it, this is the moral challenge for those on the side of “choice.” How is it possible to in the name of justice advocate for a woman’s right to elect abortion, when the weakest human being in the equation is left without a choice and without a defense? Justice and mercy, to be truly just and merciful, demand that the most vulnerable, powerless, defenseless and voiceless ones be entitled to and receive the strongest defense, advocacy and protection. A close friend of mine who is a gynecologist, who has never and says they will never perform an abortion, and who is decidedly “pro-life,” relayed a real-time patient situation to me that seems as close to impossible as you can get. A young pregnant girl came in to their office distressed. Why was she pregnant, and why was she distressed? Because a few thugs decided one day that they would force her into a private room and then, one after the other, take advantage of her 10-year-old body. Yes, you read correctly. The girl is 10. If you are pro-life, can you put yourself in the shoes of this girl or in the shoes of her parents and be satisfied with simply getting the law on your side and for the sake of the child in utero? What about the child who is carrying that child in her underdeveloped uterus? Is it enough to vote your views and share your views on Facebook and put a pro-life bumper sticker on your car? Is it enough for you to look at this 10-year old girl and her parents and say, “You shall not murder. Now that we have that settled, go in peace”? This is what the scribes and Pharisees were known for doing. They demanded that people keep God’s law: Don’t commit adultery, don’t murder and so on … but they would not lift a finger to help share the burden (Luke 11:46). The Pax Romana can teach us something about this. The Pax Romana or “Roman Peace” was a term coined by the people in power during the first- and second-century Roman Empire. Social Darwinism was the rule of the day, in which the terms of justice were decided by the powerful, who made certain that the terms of justice privileged them. The weak had no choice but to be subject to those terms. One historian described the Pax Romana as a coerced compliance in which all opponents had been beaten down and had lost the ability to resist, and in which the weak and afflicted had no legal protection. Archaeologists discovered a letter written by a traveling Roman businessman to his pregnant wife. Unable to make it back home in time for the child’s birth, he wrote to her that if the child is a boy, she should keep it. If it is a girl, she should throw it out. That story illustrates that certain classes of humans, in ancient Rome, were seen as a drain on society and therefore disposable. Widows, the infirm, people with special needs, the poor and unwanted children all were vulnerable and none had the assurance that their human rights would be honored. The practice of that kingdom vision made a significant imprint on ancient Roman society. Even the Emperor Julian, known by history as “Julian the Apostate” because of his hatred of Christianity, conceded in a letter to his friend that the growth of the “Christian sect” had gotten out of control because the Christians took better care of Rome’s afflicted than Rome did. The centerpiece of our life and faith is the One who so loved us that He died for us … Where does that leave us? First, don’t murder. This is true for both sides of this issue. While exerting one’s autonomy and taking of innocent life in abortion is clearly wrong and disallowed by Scripture, so is being vitriolic and hating others on the other side of an issue. Second, do unto others as you would want for them to do unto you—assuming your positions were reversed. Imagine that you are the one making a decision on the other side. As we fight about life in utero, let’s not forget the person standing in front of us. Build relationship and community. There is enough hurt to go around … I believe that abortion is wrong. I believe that God is the Giver of life. As a Christian, I want to support a politic that does give preference to Biblical views on this matter, because I believe that they make for flourishing of humans. I also must believe that government, Biblically speaking, must make room for dissent. In short, I would rather build community and dialogue and live in a society where abortion, due to the love ready to be given to any child and any mother, is not merely illegal but unthinkable.